• Completion of a Double H application, including medical forms and immunization record. • All applications will be medically reviewed for approval. • Rolling admissions based on a first come, first serve basis (limited space is available each session). There is NO charge for your child to attend camp. However, transportation expense and arrangements are the responsibility of the individual families. Please review camper eligibility prior to beginning your application. Once submitted, supplementary medical forms will be e-mailed to you. Returning Applicants: Please use your log in information to start your child’s 2019 application. New applicants: For instructions on how to set up an account, please download our Online Application Guide. Complete the hard copy of the application and supplemental medical forms (based on child’s qualifying diagnosis) below. 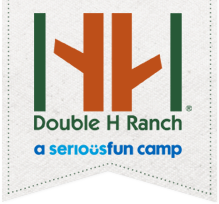 • Completion of a Double H Ranch sibling application, including Physical Exam Form and immunization record. • Rolling admissions based on a first come, first serve basis (limited space is available each sibling session). Complete the hard copy of the application. or Tara Bogucki, Admissions Director at tbogucki@doublehranch.org or 518-696-5676 x222. The publications and resources on this page link to PDF documents. The majority of modern computers will open PDF documents automatically, but you may need to download Adobe Acrobat Reader to view PDF files on this website. These PDF documents may not be up to WCAG 2.0 standards for accessibility. If you are having difficulty viewing these documents and would like assistance, please contact us or call 518-696-5676 and we will assist you in every way possible.